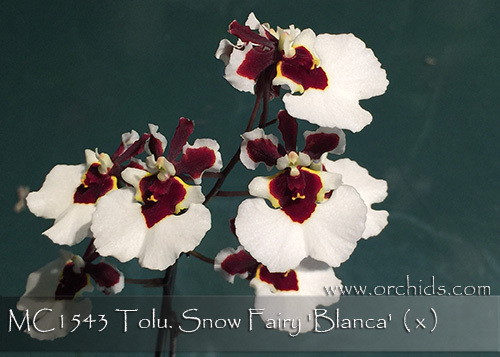 A fabulous new Tolumnia hybrid bearing a broad pristine white lip ! 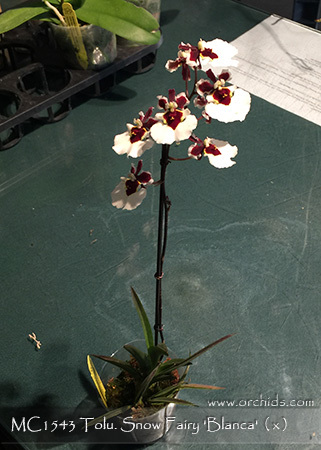 Accented with deep oxblood on its petals and sepal, the petals are beautifully finished with a broad white picotee. This same rich oxblood is repeated in the central mask of the white lip, creating an eye-catching presentation. Highly Recommended !